The Turkish newspaper Yeni Akit, a propaganda mouthpiece with very close ties to the head of the Turkish regime Recep Tayyip Erdogan, published an article, claiming that the Iraqi cities of Mosul and Kirkuk are Turkish because they were once occupied by the Ottoman Sultan Abdul Hamid II. The newspaper claimed that Sultan Abdul Hamid ll held ownership over many important areas in Iraq, including 104 square kilometers and 807 hectares of land in Karbala, and 489 square kilometers and 557 hectares of land in Kadhimiya and Samarra. The newspaper noted that Sultan who ruled between 1876-1909 sought to strengthen the Ottoman Empire in the wake of the potential foreign occupational campaigns and thus attempted to seize and secure as many land as possible. The article of Yeni Akit likely comes as a response to the recent Iraqi Kurdistan independence referendum which was gravely opposed by the Erdogan regime. 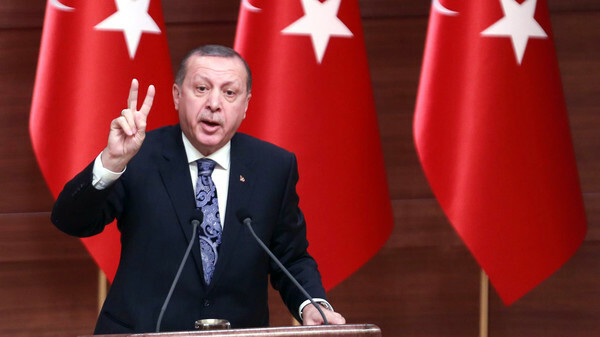 Many now fear Erdogan will exploit the referendum for his territorial ambitions in Iraq and turn its outcome in his favour by deploying his forces to Kirkuk. It is noteworthy that Kirkuk, itself an ancient Assyrian city, is now a major hub of the Iraqi Turkmen minority. This is not the first such controversial article published in Turkey in recent time. Last year, Erdogan’s Anadolu News Agency published an article, citing data from the archived Ottoman documents, according to which, there used to be at least 7763 records of Turkish properties in the Iraqi city of Mosul, dating back 169 years. Meanwhile, the newspaper Gerçek Hayat (itself a subsidiary of Yeni Shafaq, another notorious Erdogan regime mouthpiece), proclaimed Turkey as the owner of the whole Middle East.